On Sunday, October 28, following a round of golf, Alex Lifeson took part in the 11th annual Scott Medlock-Robby Krieger Golf Classic's All-Star Concert to benefit St. Jude Children's Research Hospital at the Saddlerock Ranch in Malibu, California. Lifeson performed "Freewill", "The Spirit Of Radio" and "Limelight" with the help of CHICAGO's Jason Scheff on bass and vocals. Check out video footage below (courtesy of California Rock News). Longtime friends Scott Medlock and Robby Krieger (THE DOORS) organized the event to support St. Jude Children's Research Hospital, which is leading the way the world understands, treats and defeats childhood cancer and other life-threatening diseases. It has become one of the largest, single event fundraisers of the year for the hospital. 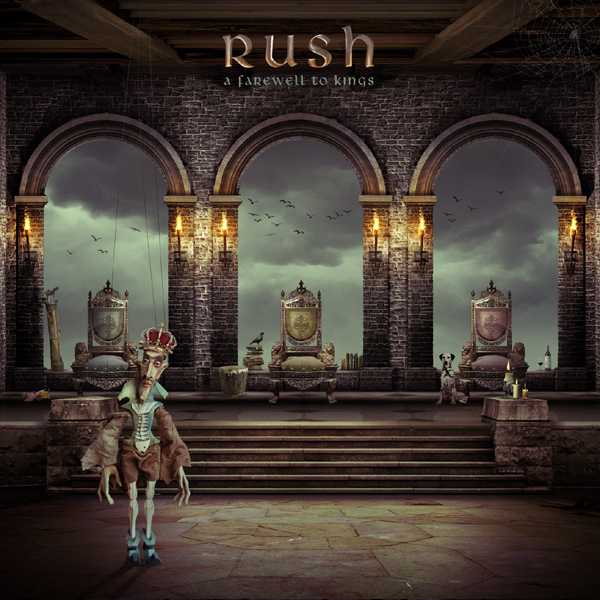 At the core of the Ole reissue have been a series of 40th anniversary editions of Rush albums, starting in 2016 with 2112, and followed up last year with A Farewell to Kings. 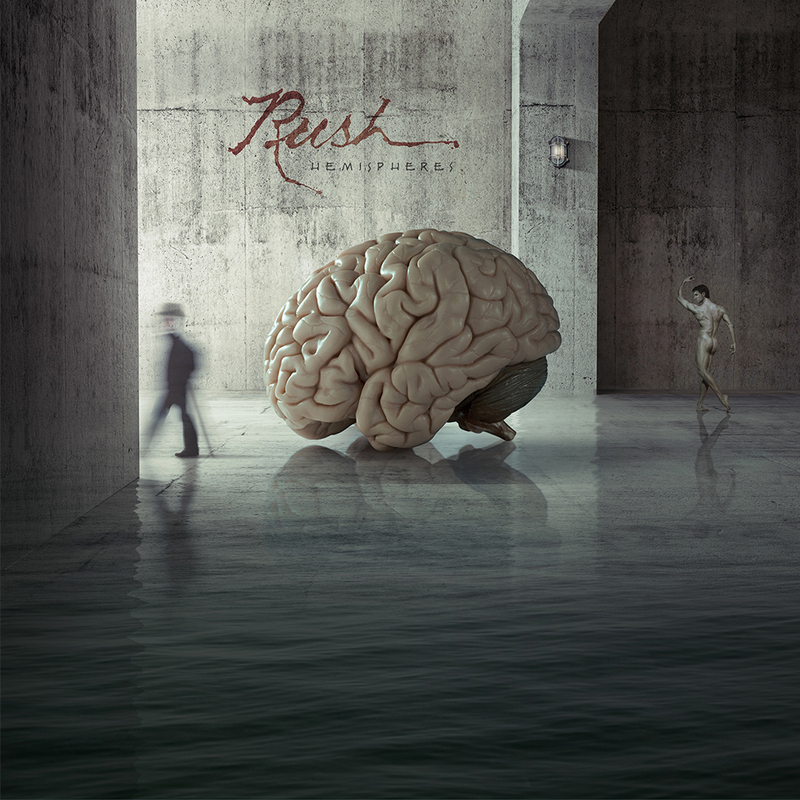 Later this year will see the issuance of a package commemorating the 40th anniversary of the Hemispheres album, which features Rush concert favourites such as La Villa Strangiato, The Trees and Circumstances. “For Farewell, we had some younger artists contribute versions of songs for that album, including Big Wreck, Billy Talent and Foo Fighters. But this time we wanted to do something different, so we dug deep into the archives over here at Anthem and were able to come up with a really cool live concert almost in its entirety from the Pink Pop Festival in 1979. In terms of a choice of rarities, this was a recording where if you searched diligently you might have been able to find bits and pieces of it online from people who had recorded it. We worked closely with the Pink Pop Festival and a radio station and television station in the Netherlands that broadcasted it and got the full show. Which was really cool, because Elvis Costello was on the bill, and so were The Police – a very eclectic lineup in 1979,” he explained. As a true fan of Rush, Curran takes the job of compiling and re-releasing material very seriously, because he knows first hand the loyalty of the band’s fans and the high standards to which Geddy Lee, Alex Lifeson and Neil Peart wish their legacy to be persevered. But it’s also boatloads of fun being able to metaphorically and even literally root through the attic of your favourite band, finding hidden and long lost gems. “There are times when I am literally pinching myself because, first off, I can’t believe I am actually working with these guys, and secondly that they trust me with it. It’s like being part of their inner circle. And then it’s so amazing to find something that no one has ever seen or heard before. When you find something the is unique and special, it’s very cool. There is some visual stuff that I am going through right now, that they documented during the time when I was literally a kid buying tickets and going to see them. One of the reasons I bought a Rickenbacker was because of Geddy Lee. My God, its like being a kid in a candy store at times,” he said. There will not be a 40th anniversary Rush re-issue in 2019, with the next one come in 2020 with a Permanent Waves package, but Curran said his boss at Ole, Robert Ott, has lot of projects for him, including a remastering and re-issuing of the first Coney Hatch album, and a possible second Max Webster package. “There is also some talk about potentially doing an Anthem Records box set to celebrate four decades of the label. People may have forgotten some of the other artists they were involved with, whether it was B.B. Gabor, or Wireless or Ian Thomas or Larry Gowan, Bob and Doug McKenzie – there are so many cool things from that catalogue. So, we’re deep into discussions about celebrating Anthem Records too. UPDATE: The auction just ended with Alex's painting selling for selling for $12,111 Canadian. This year's painting is "Self Portrait #2", and bidding ends October 23rd. Click here to bid. - Thanks to RushFanForever for the headsup! Rollingstone.com has published a new interview with Geddy Lee, "The Rush frontman is promoting the upcoming 40th-anniversary reissue of Hemispheres (out November 16th), which includes a 2015 remaster, a new 5.1 surround sound mix, promo videos and a previously unreleased 1979 performance from the Pinkpop Festival in the Netherlands...Along the way, he also discussed his upcoming bass book, the possibility of future solo work and the current state of Rush — who, in 2015, concluded what could be their final tour." 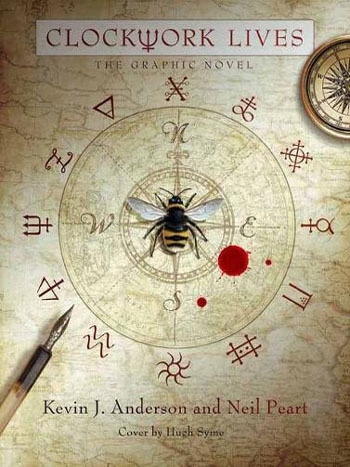 "Kevin J. Anderson and Neil Peart have optioned their steampunk fantasy adventure CLOCKWORK LIVES to writer/producers Benjamin Raab & Deric A. Hughes (Arrow, The Flash, Warehouse 13). CLOCKWORK LIVES is set in the universe of the concept album CLOCKWORK ANGELS by legendary rock band Rush and Anderson’s New York Times bestselling novel of the same title. Anderson and Rush drummer and lyricist Peart wrote CLOCKWORK LIVES as a companion to ANGELS in a novel published by ECW Press and a new graphic novel from Insight Editions." Also check out our interview with Kevin J. Anderson where he discussed both novels as well as some of his other Rush related writings. Although released last December, ole TV has posted a new five minute video with Dream Theater's James LaBrie and engineer Rich Chycki to chat about DT's cover of the Rush classic 'Xanadu,' from the 40th Anniversary release of A Farewell To Kings. - Thanks to RushFanForever for the headsup!